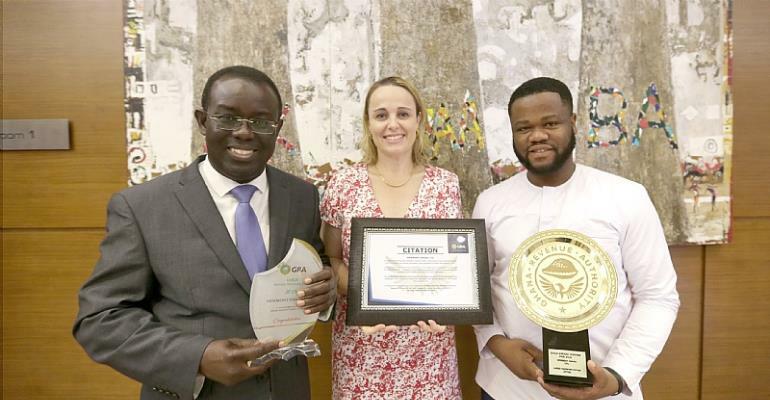 Newmont Ghana, was over the weekend, awarded the Most Compliant Taxpayer for 2018 at the annual Ghana Revenue Authority (GRA) Staff and Stakeholders Awards Ceremony held in Accra. The award also recognized Newmont’s significant contribution to Ghana’s domestic tax revenue mobilization and for being a good source of employment to many Ghanaians. In 2018, Newmont Ghana paid a total of GH 783M in taxes and forestry level to the Government of Ghana through the GRA and Forestry Commission. In 2017, Newmont was adjudged Ghana’s Overall Best Taxpayer, for consistently meeting its financial obligations to the Government of Ghana, compliance with Ghana’s tax laws and willingness to support the GRA’s tax collection and compliance improvement initiatives. “We will continue to support the GRA’s tax administration efforts and believe through the ongoing collaboration with the Government of Ghana, our regulators, and host communities, Newmont Ghana will operate sustainably, create value and improve lives”, said Tula Zeng, Interim Regional Chief Financial Officer, Newmont Africa. Newmont says it is committed to operating ethically and respecting the law while creating long term value for all stakeholders.